The recent “concept of 2.0", a consequence of "Web 2.0", discusses the emergence of a new style, emancipated from the Web, which finds applications in all areas of social activity: management, innovation, education , organization, territory, etc. 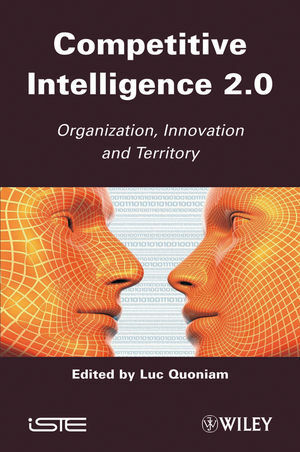 This book considers the implications of the changing paradigm for competitive, economic and territorial intelligence applied to innovation, value creation and enhancement of territories. Competitive intelligence is therefore in the "2.0" and its values: perpetual beta, user-generated content, social relations, etc., horizontality, a renewed legitimacy. This book, collecting contributions from international experts, testifies to the heterogeneity and richness of possible approaches. It provides a totally new way of evaluating the impact of 2.0 with concrete examples, while analyzing the theoretical models allowing the reader to develop in other contexts the described cases of success.